Beautifully situated partial view home in desirable Ashbury Heights in the geographical heart of the City. This is a comfortable family home with access to an extra large, secure yard for play, family and pets. 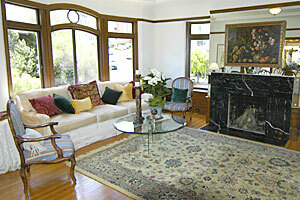 The house has been beautifully maintained with traditional detail retained. Hardwood floors of red oak, wainscot paneling, tall ceilings and wide doorways throughout. The homes sixty-four large windows let in an abundance of light on all levels. The north facing rooms look over the Bay partially and the beautiful Ashbury Terrace neighborhood and the west facing rooms overlook the garden. 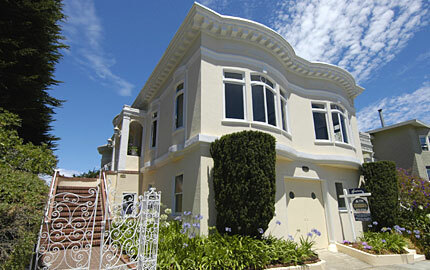 Walk to nearby Buena Vista Park or shopping in Cole Valley. The FOYER entry leads into the gracious LIVING ROOM featuring a marble fireplace. The formal DINING ROOM, with wainscot paneling of Philippine mahogany, has partial views of the Bay and city. Both the living and dining rooms feature four bowed window bays finished with ornate architectural details letting in an abundance of light. The expansive KITCHEN with breakfast area is off the dining room as well as a Butler’s Pantry. There is a service entrance off the kitchen with a separate entrance from Upper Terrace. 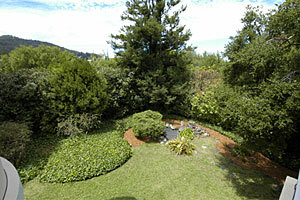 The northwest facing MASTER BEDROOM has a full 180 degree extended bay with views of Mt. Parnassus and the Golden Gate and the home's wonderful garden. The MASTER BATH with tile surround features a separate tub, separate shower and vanity. 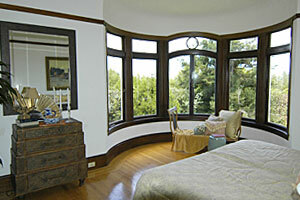 Adjoining the master bath is an additional BEDROOM with window bays featuring ornate architectural details. One additional sunny BEDROOM/OFFICE with adjoining tiled half BATHROOM. The staircase off the main level hallway leads to the Great room/Family Room. 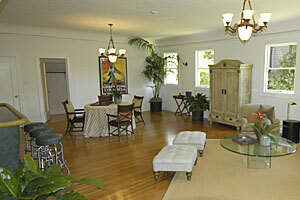 This room is a wonderful entertaining room that opens onto the Garden. There is a Bath and a half bath on this level. A large space off the great room, formerly used as a kitchen, is open for a multiple of uses. Offers to be presented to Seller Tuesday, July 27th, starting at 12pm with entire disclosure package signed off. Escrow to be with Kevin Thompson, Chicago Title Company, 415-291-5191, #736188. Pre-approval loan letters to be included with offer.